The sacrifice of Isaac, as depicted here by Caravaggio, is one of the most famous biblical instances of the covenant. Abraham was so serious about his promise to be faithful to God that he was willing to sacrifice his son Isaac because God told him to. This painting by Rembrandt shows Moses destroying the tablets of the law because he saw that the Jews had broken their end of the covenant and were worshipping false idols. Moses destroyed the tablets out of despair, but God forgave him. God always keeps his end of the covenant. Koch, Joseph A. Noah's Thanks offering. 1803. Accessed April 11, 2016. After God flooded the earth, God promised safety to Noah and his family. This painting by Koch shows Noah offering a sacrifice to God to thank him for upholding his end of the covenant. 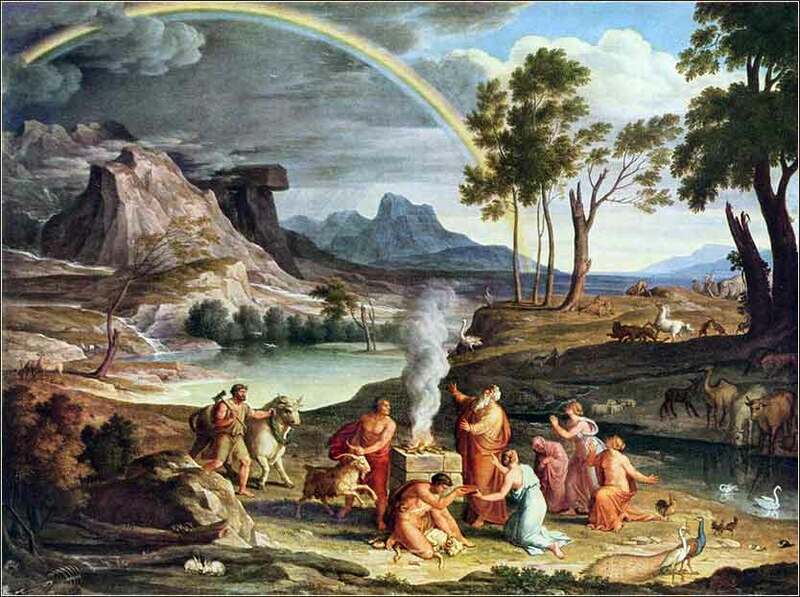 The rainbow is sometimes seen as a symbol of God's covenant with his children.